Company falsely claiming to sell brand new stairlifts to customers is prosecuted. J W Mobility, trading as Mobility and Lifestyle which has branches in Bedworth, Atherstone and Hinckley, claimed to sell new Stannah Stairlifts to elderly residents across the area. However an investigation has found that the company actually sold customers ones which were made up of second hand parts, and in some cases were unsafe. Warwickshire County Council’s Trading Standards Service brought successful prosecution after receiving complaints from consumers from across the county. The company claimed to be selling new Stannah Stairlifts, but the lifts were instead made up of second hand parts of old Stannah Stairlifts ‘cut and shut’ together, with rails supplied by another manufacturer. Paul Nicholson, of Classic Stairlifts Ltd, who supplied and fitted the stairlifts, also claimed to be a member of the British Healthcare Trades Association (BHTA) and a signatory to their code of conduct when he was not. The case was heard by Nuneaton Magistrates’ Court, located at Warwickshire Justice Centre pictured above. Magistrates said to the director of J W Mobility, Richard Smith from Burbage, that this was a very serious matter because it affected elderly vulnerable people, that the necessary checks were not made and that it affected not just one consumer, but several. They added that Nicholson had also put vulnerable elderly consumers at very serious risk, by fitting unsafe products in their homes. J W Mobility Ltd pleaded guilty to three consumer protection offences and was ordered to pay £9,536.24. Smith, aged 38, was also personally charged with falsely describing one stairlift, for which he himself had been the salesman, as new when it was made up of second hand parts, some of which dated back to 1999. He was ordered to pay £2,322.08. J W Mobility Ltd employed a subcontractor to supply/install the stair lifts but did not carry out proper checks on his qualifications or supervise the work and had no written contract to prove what was agreed between the two traders. Further, the installer was not an authorised Stannah dealer. 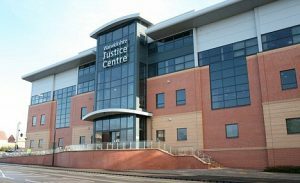 The installer, Nicholson, aged 51 of Hednesford, Cannock, is the sole director and owner of Classic Stairlifts Ltd and pleaded guilty to one offence under the General Product Safety Regulations and received an eight week prison sentence, suspended for 12 months. He also pleaded guilty to a further three consumer protection offences and was ordered to pay a total of £4,663.32 in fines and costs. The company, Classic Stairlifts Ltd of Hednesford, also pleaded guilty to four consumer protection charges and were ordered to pay a total of £11,536.24. Smith admitted he had failed to supervise the contracts or make appropriate checks on his supplier. Nicholson apologised for misleading the public by claiming to be a signatory of a code of conduct, when he was not. Speaking about the prosecution, Warwickshire County councillor Les Caborn, cabinet member for community safety said: “It is completely unacceptable for businesses to supply unsafe equipment and put elderly and vulnerable people at further risk.